Electronic publishing (also referred to as e-publication or digital publishing or online publishing) includes the digital publication of e-books, digital magazines, and the development of digital libraries and catalogues. E-publication is aiming to integrate the whole process of editing and publishing (production, layout, publication) in the digital world. The eBook then becomes more and more accessible through many different supports, like the e-reader and even smartphones. 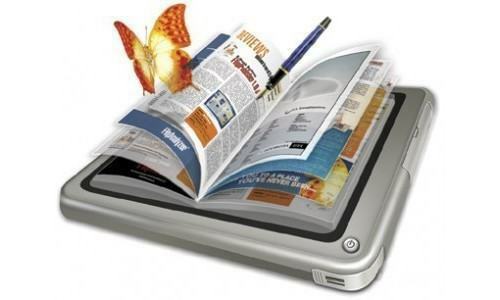 It allows reader to access the content from anywhere and at any time thus promoting self-learning. One extension of e-publication is MOOCS and Swayam Portal. MOOCS and Swayam Portal is the Government’s online education platform. MOOC (Massive Open Online Course) platforms are fast gaining popularity in India. Many Indian students and working professionals have now started embracing MOOC platforms to develop deeper knowledge in their respective subjects. The self-learning and learning at home is not just confined to these technical subjects. It has wide range of subjects including Software languages and English language. As an example of software languages, HTML 5 can be learnt even without joining the regular coaching outside. Currently simple browser games and simple hybrid apps can be built using HTML 5. There are many online portals and tools available for free for learning HTML 5. If followed continuously, the entire course can be completed in 4-5 hours in most of the online training portals. There are many online resources to learn HTML, you have books like HTML for Dummies, and websites like code academy, treehouse, code school, etc. English language lab solution is one way of getting proficiency in English speaking and listening skills. Mobile applications and web portals are now being encouraged for English language lab solution. These solutions are very cost effective, easy to install, extremely user friendly. This method is also helpful for improvement of vocabulary and pronunciation.